Eau de Iceberg 74 Amber is a popular perfume by Iceberg for men and was released in 2012. The scent is resinous-sweet. It was last marketed by Perfume Holding. "The falling Leaves drift by the windows..."
Everyone could recognize the lyrics of this originally French song by Kosma-Prévert ("Les Feuilles mortes")describing the melancholy of autumn, the most poetic season (to me). Well, exactly this song came to my mind when I smelled for the first time this wonderful scent: it's a hymn to autumn and to its heartbreaking beauty. This almost Spartan bottle, squared and minimal, hides a true symphony of warm and spicy notes. First of all, your nose is involved by an aromatic cloud composed of cinnamon, rum, and thyme. Then, the Sacred frankincense touch gives a Smoky and deep character to the composition, while ebony notes give depth and mystery, just like the Black Keys of a keyboard. Finally, the wonderful oriental triad of opoponax, ambergris and benzoin recall the warmth of a hearth and the copper-colored leaves falling from the trees, just as it's said in the above-mentioned famous song. This scent was meant for man but I fell in love with it not only for its warm bouquet but also for its good sillage, lasting many hours on my feminine skin with a surprising result. I think it gives its best by the day as well as by night in the colder season, sprayed directly on the skin or on warm cashmere or wool scarf to prolong its longevity and wonderful sensation of "wearing the fall". So, girls of all ages, dare to wear this scent and if it's in your men's perfume wardrobes, steal it without regrets! Hardly wearable for men, for women (under circumstances) maybe. Eau de Iceberg est. 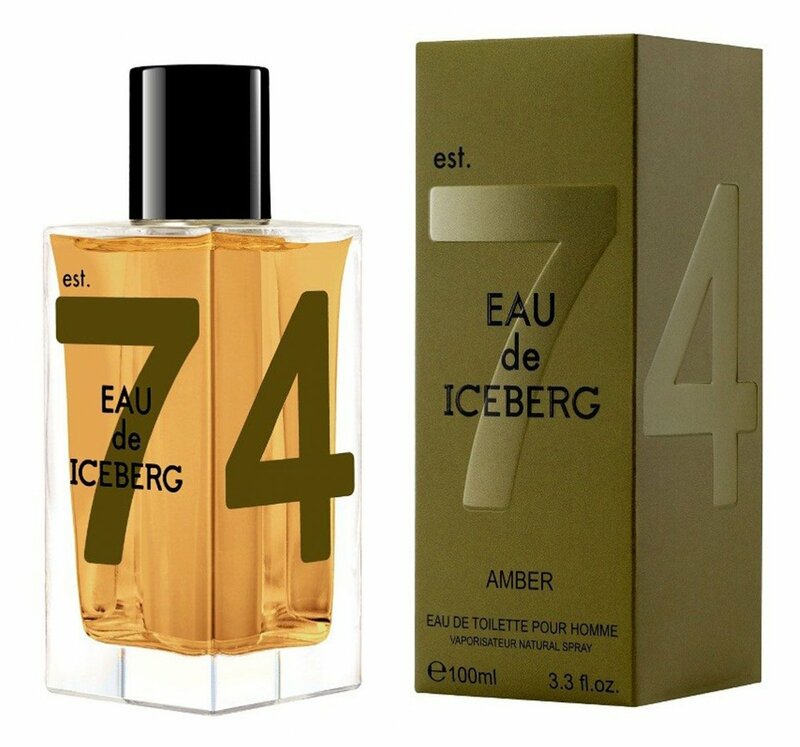 74 Amber was a big surprise to me. 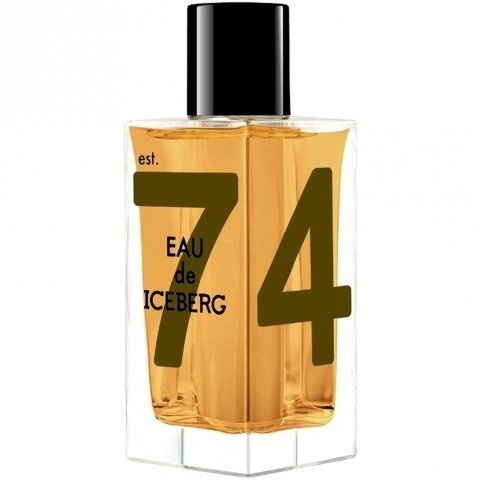 Quite a few years ago I strived for getting Eau de Iceberg est. 74 original, whose smell is developed around the unusual Kingwood, so distinct, with rosewood-like odor when being worked or warmed... yet, I was so awfully disappointed due to the very weak power and dim sillage. No matter how much juice you pour on you, it fades away in the blink of an eye. But Amber is different, and this time I wasn't disappointed. From the very beginning, the overall aroma is sweet, powdery, musky, honey-like, and boozy, with a delightful blend of warm rum and spicy cinnamon bark drenched in it. The aromatic thyme lingers lazily in the background and wakes up just after the warm duo calms down a bit. The opening is woody with some florals. Very pleasant and borderline feminine so it has a modernity to it. Amber is all around and I'm not talking about ambroxan or any Sauvage akin dupes. I even consider this to be the main note, already present in the opening and dominating the dry down. Many people assume that amber comes from the fossilized tree resin known as amber or Baltic Amber. Fossilized resin has almost no scent at all except when burned. Instead, labdanum resin is the most popular and most recognizably ‘amber’ as most people think of it today. Other resins often used are benzoin, balsam of Peru, frankincense, myrrh, copal, styrax/storax/liquidambar, as well as other oils such as cedarwood, sandalwood, and vanilla. Albeit it is mentioned in the base notes, I strongly doubt that ambergris is used in here... Ambergris starts out in the digestive system of a sperm whale and has a kind of legendary status, being known as a precious material that makes any perfume better but is too rare and expensive to use in modern commercial formulation.. a kind of unattainable exotic luxury from the past. Rather, somewhere along the line, perfumers created the amber note as a sweet, woody earthy note from blends of various resins. Perhaps because resins are the precursor to amber, or perhaps to represent its warm golden glow, or perhaps in aims to resemble ambergris at a lower cost. Long story short, Eau de Iceberg Amber is a scent created entirely around the note of amber and depicts all its faces, from its cool, marine aspect to its sensual and warm side. The composition is enriched with other resins and precious woody notes. Don't get me wrong, the fresh, marine facets of Amber, which is not aquatic or seaweed at all, are contrasted with its warmth and sensuality to create a strong masculine signature. Spicy and aromatic top notes merge into a manly heart of smoky incense, woody black ebony, and green clary sage. Here the scent takes a darker tone, warmer, and enticing. In the dry down, ambergris-like attains an almost mystical resonance, fusing powerfully with opoponax and benzoin. It's light and cool, unlike other amber's I'm used to and it also starts to become more of a mature scent. Feels more like a casual spring or better fall scent, seriously. Not surprisingly, the aphrodisiacal properties of gray Amber have made it a precious ingredient in perfumes ever since ancient times, equally popular among Greeks, Romans, and Egyptians. In the end, when I smell it, I get a powdery sweet amber with an underlying essence of wood. Kind of like an inexpensive nod to YSL l'Homme intense... not to remotely imply the fragrances are identical though. I'd say they're in the same family. Projection is good and longevity is very good. It's of moderate sillage and you get whiffs of it as you move around the room. If you like sweet ambers and want something casual for the office perhaps, you'd definitely add this to your collection to try out especially since it's so inexpensive.